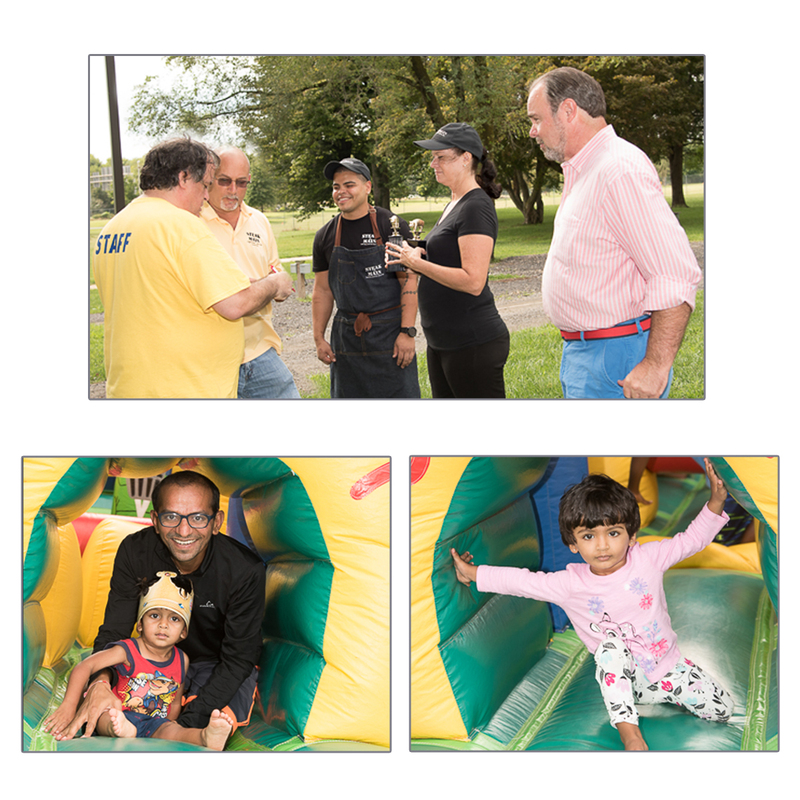 Once again, on Saturday, September 15th, DSBC held it’s Fun Fest and Championship Scrapple Recipe Cook-Off from noon to 4:00 PM at Glasgow Park. 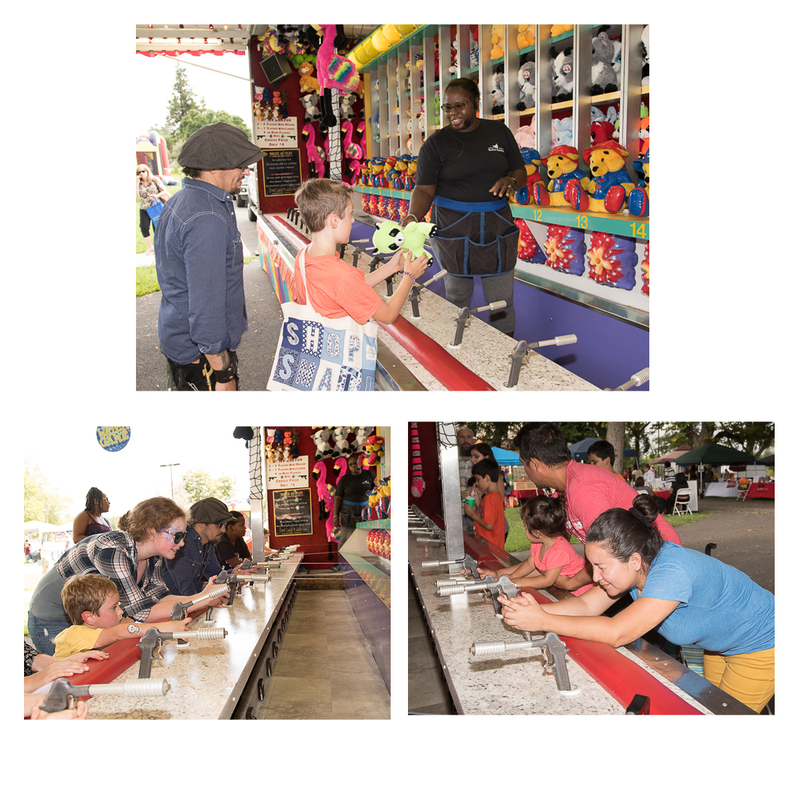 Fun Fest day itself was the nicest day of the entire week that preceded it… cooler, and actually rain free! It was almost as if the weather man wanted to make sure people wouldn’t miss the event. 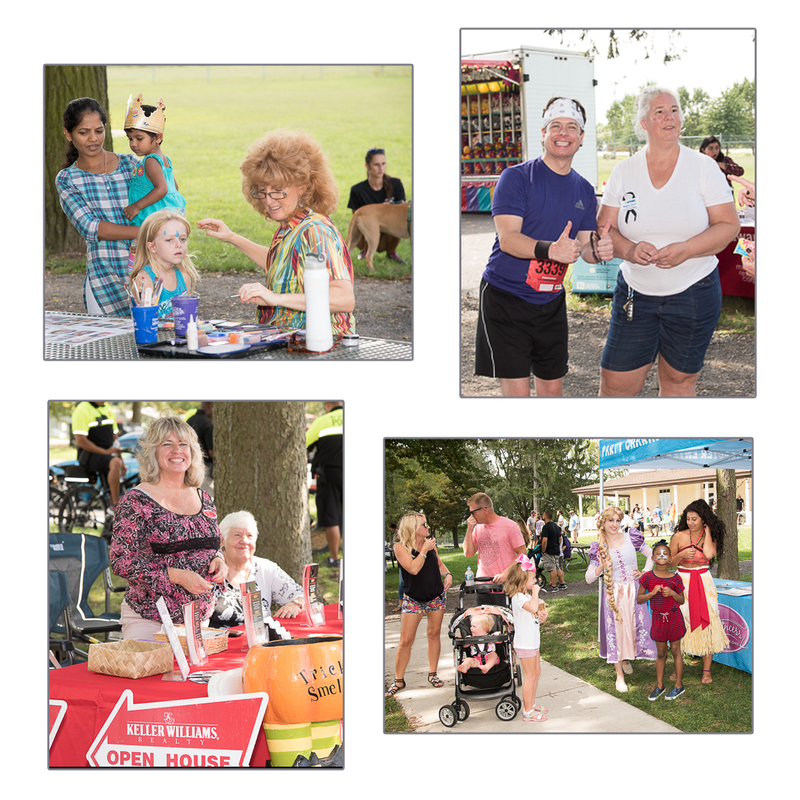 Check out the abundance of smiling faces amongst the vendors and participants… recognize anyone? Above you’ll note Neil Stalter of Diamond State Financial and his wife Melinda chatting with Suehad Carlisle of (Creative Travel) and family. 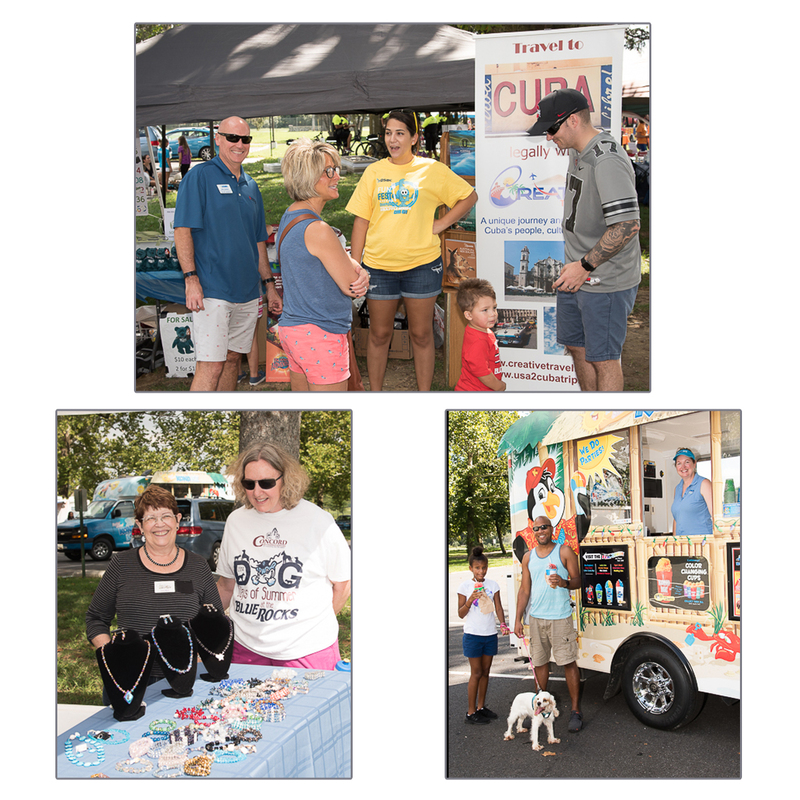 Carol Mack of Beads by Carol had a display of her handiwork, and in addition to scrapple, other treats were available at the several food truck exhibitors, above we see some of Dierdre’s Garoutte’s satisfied Kona Ice customers. Below we see Lois Hoffman, the 1st 1/2 of The Juggling Hoffmans, doing some face painting, CPA Eric McCallum, who apparently finished an earlier race and Megan Varley were making the rounds. Realtor Denise Allen and mom were manning her Keller Williams table. 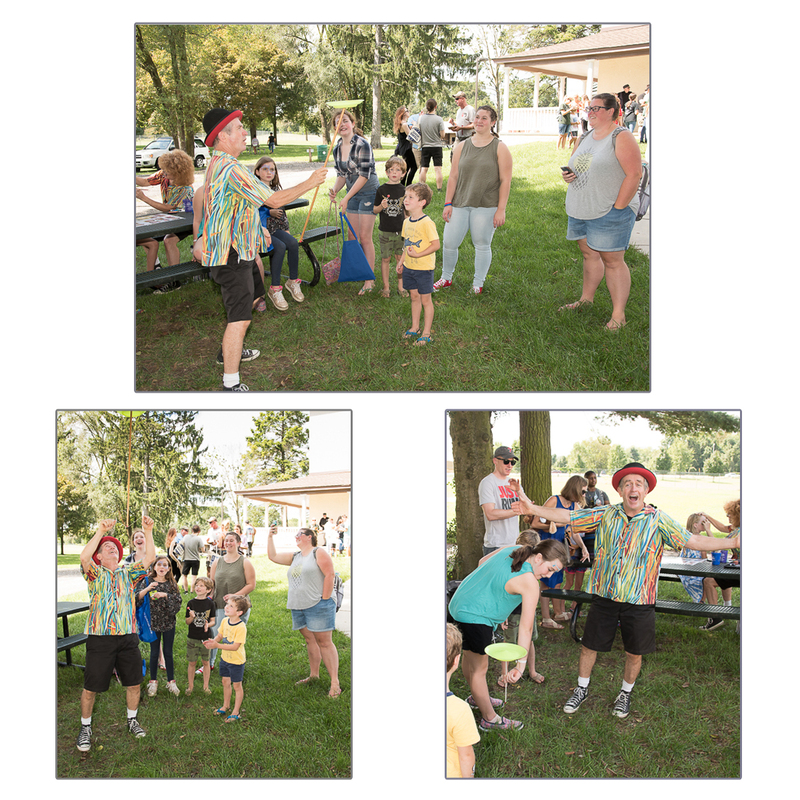 Below, the second half of the Juggling Hoffmans, Michael, thrills kids watching his plate spinning and helps a young girl to give it a try. 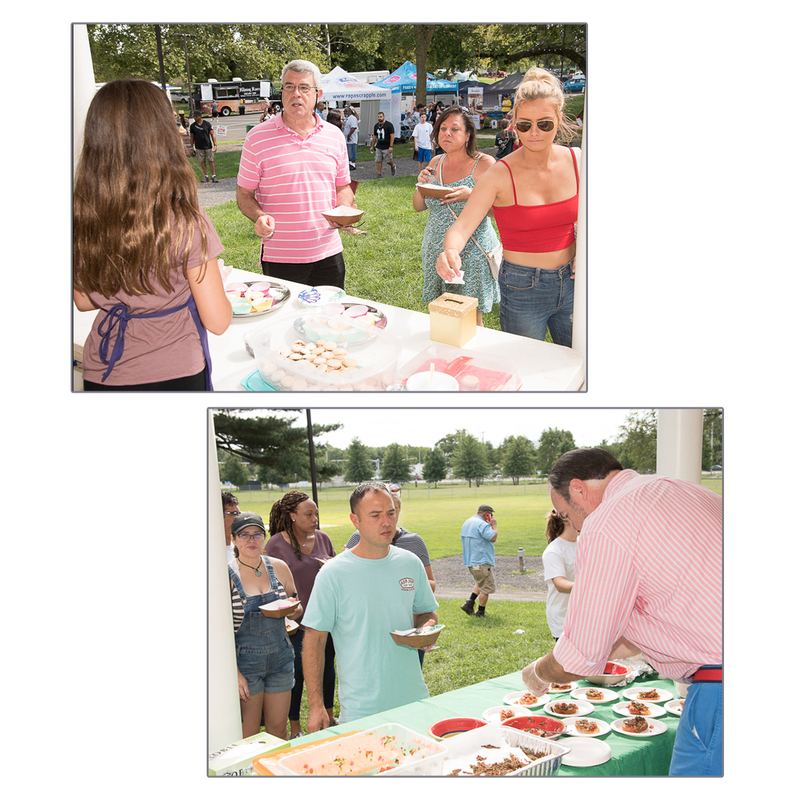 Next Will Webber, “The most interesting Realtor in Delaware” is checking out the scrapple macaroons… and amateur chef and scrapple contestant Paul Rada serve up some of his tasty craft. 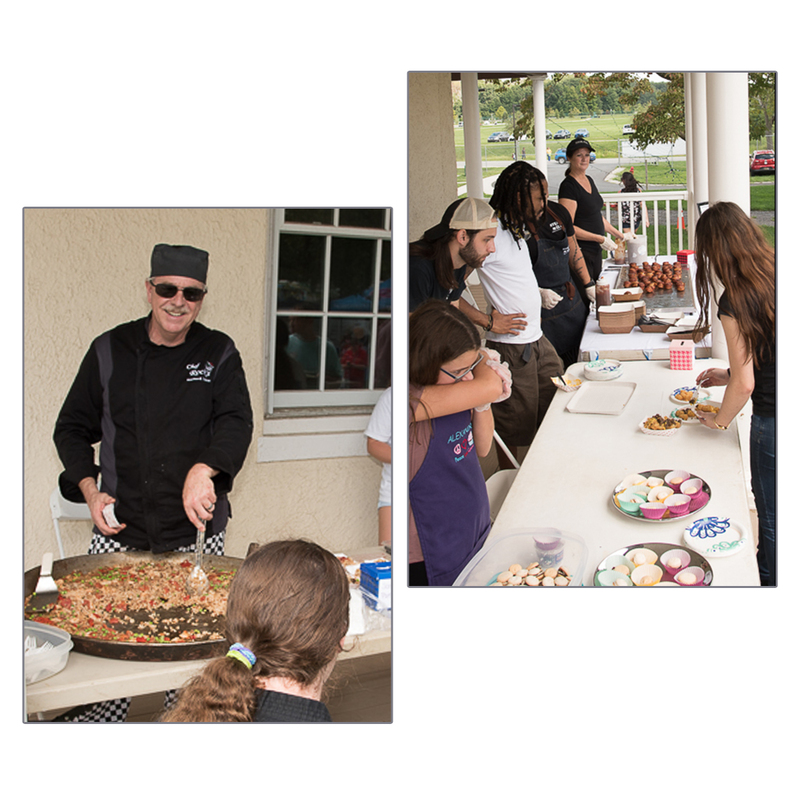 Below, Jim Rock, of Chef Rocks Kitchen , is cooking up his scrapple paella and his competitors from Steak and Main in the adjacent image. 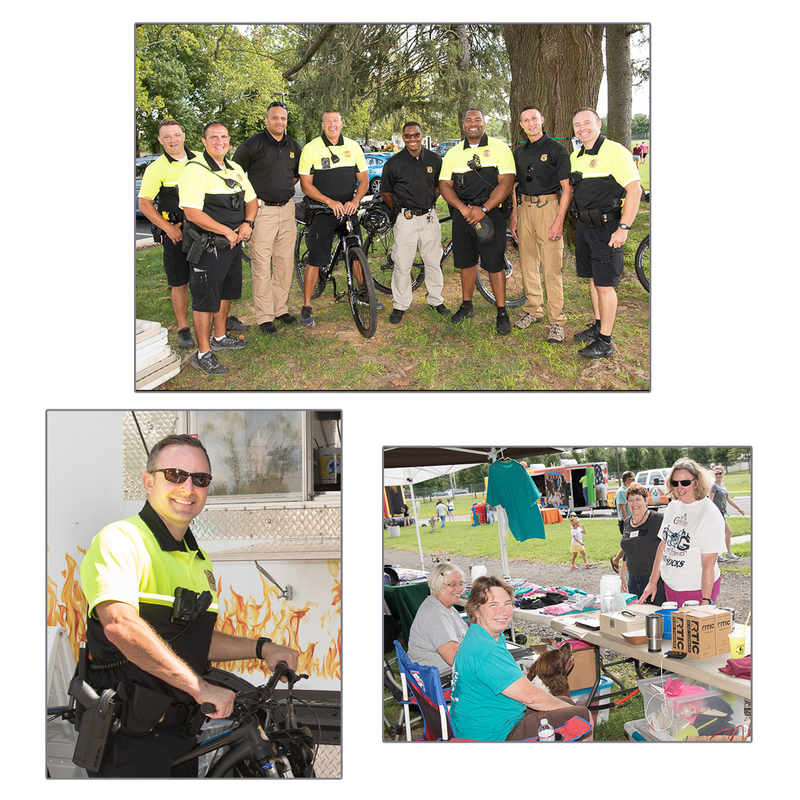 Wess Reynolds and New Castle County Police team insure peace and safety by giving overwatch to New Castle County, includding activities at Fun Fest. Also attending and manning a booth were Friends of the Mounted Patrol, being visited by Carol Mack and family friend. 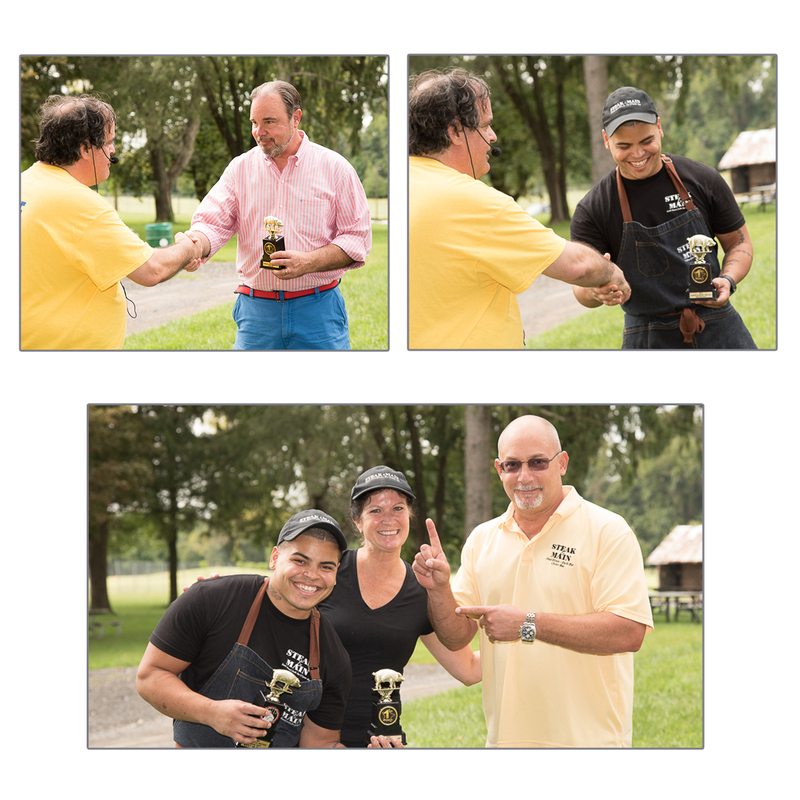 Next we meet the judges: Laura Delpercio, Michael Kelly, State Rep. Paul Baumbach, Rappa Scrapple’s John Curtis. Laura is a well photographed client of mine both as a former bride of CreativeImageWeddings.com, and as a woman featured in the book, Pearls, Women Who Radiate Success by Delaware businessman and musician Fred Dawson. I had the privilege of photographing Laura and woman featured in the two earlier editions of Fred’s book and am in the process of photographing those in his third sequel. It’s an encouraging read documenting interesting stories about local… women who radiate success! 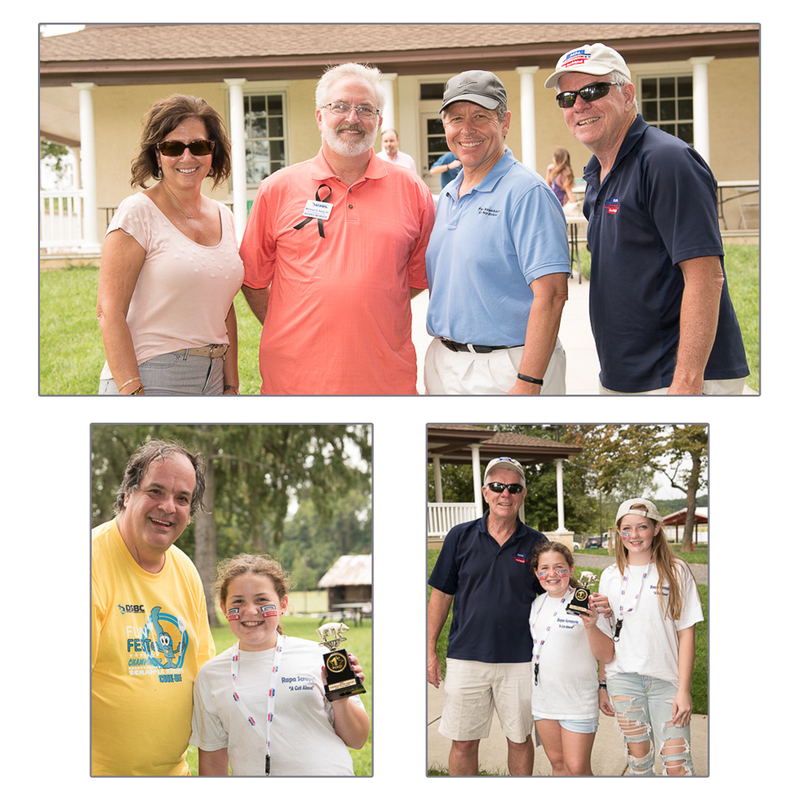 Above, ten year old Casey won the children’s division, and below, Paul Rada- won the amateur division, and Tony Covatta and his team at Steak and Main won Professional and Best Overall. Above, DSBC saw to it the inflatable “Five In One Obstacle Course” was present again to keep both adventurous kids of all ages well occupied. Belwo, Water Gun Fun was a hit with the little marksmen. 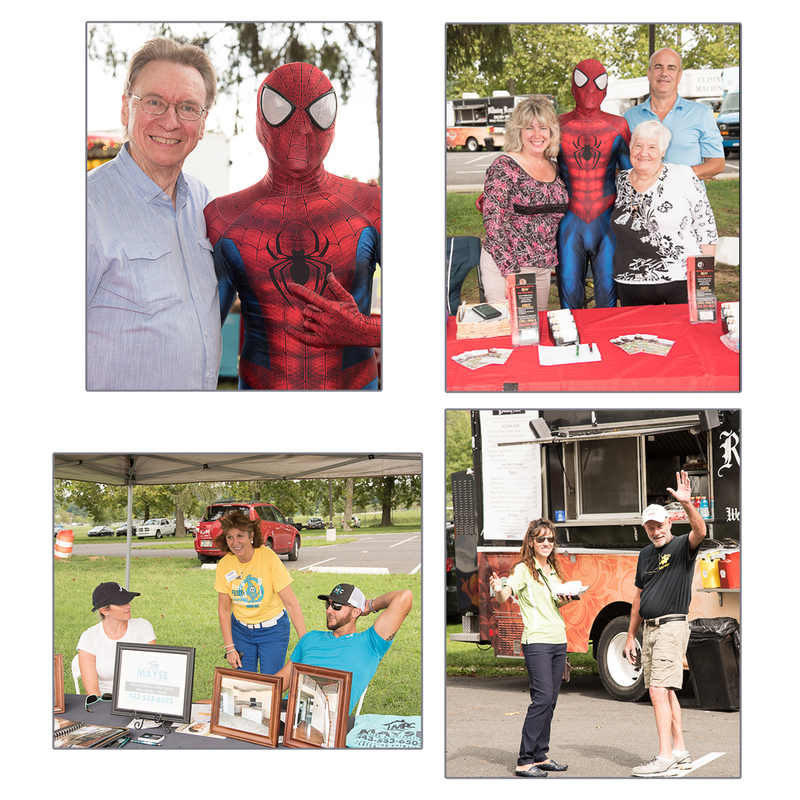 Below: Thank you’s to Denise Allen for catching the shot of Spider Man (courtesy of Party Princess Productions) and myself. World renoun… Pam Mayse, of DSBC chats with her son Justin and wife Krista at Mayse Painting of Middletown’s table. An finally, at the close of the day, Bob Nicholson of Cartridge World and Francesca Vogel of Sun East waved good by as I left for my next assignment!